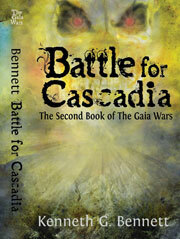 Kenneth G. Bennett is the author of two young adult novels, The Gaia Wars (2011) and its sequel Battle for Cascadia (2011). 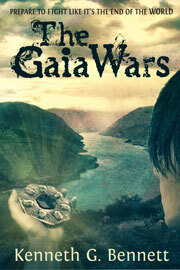 The Gaia Wars series was optioned for film in 2012 and both books have been featured as Top 100 Bestsellers in Teen Literature and Fiction on Amazon. Bennett's newest work is the dystopian eco thriller Exodus 2022 (2014), written for adult audiences. 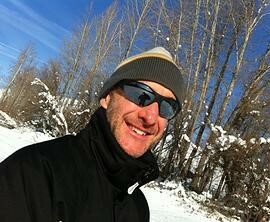 The story features Joe Stanton, a father who is unable to contain his grief over the loss of his daughter only to discover that he has no daughter. Soon others, up and down the Pacific Coast, suffer similar unexplainable mental breakdowns. 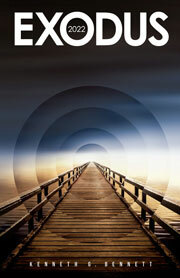 Kirkus Reviews says of Exodus 2022: "Bennett, after a neat Dean Koontz-style curtain-raiser, keeps raising the stakes. Deft storytelling and a riptide of action." And local author Rebecca Wells adds "I'm not usually a sci-fi thriller enthusiast. But Kenneth G. Bennett has set this on-the-edge-of-your-seat story in the Great Pacific Northwest where I make my home. After reading Exodus 2022, this place will never look quite the same. His best yet." For more information on this author please go to http://www.kennethgbennettbooks.com/.